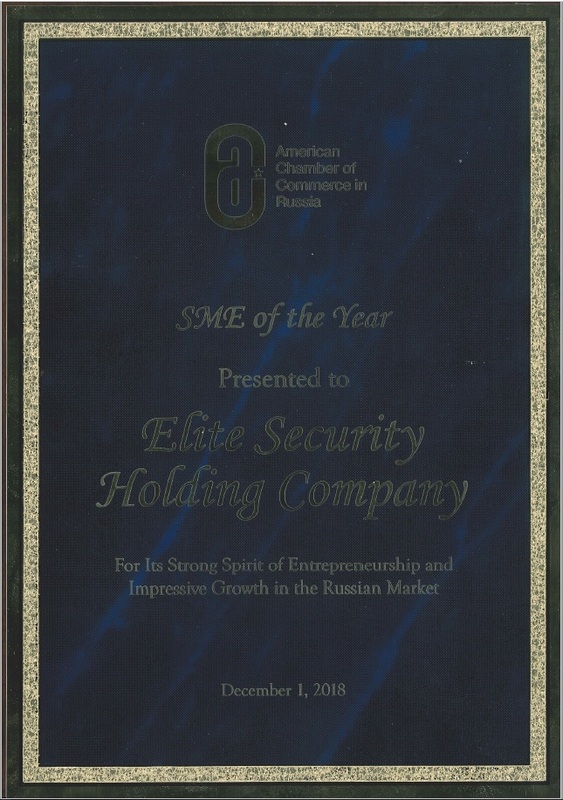 On December 1, 2018 Elite Security Holding Company was acknowledged as AmCham Small and Medium Enterprises of the Year. Our company was awarded by the American Chamber of Commerce in Russia for its strong spirit of entrepreneurship and impressive growth in the Russian market. Although this year the competition for Awards was especially strong, Elite Security managed to become the winner.